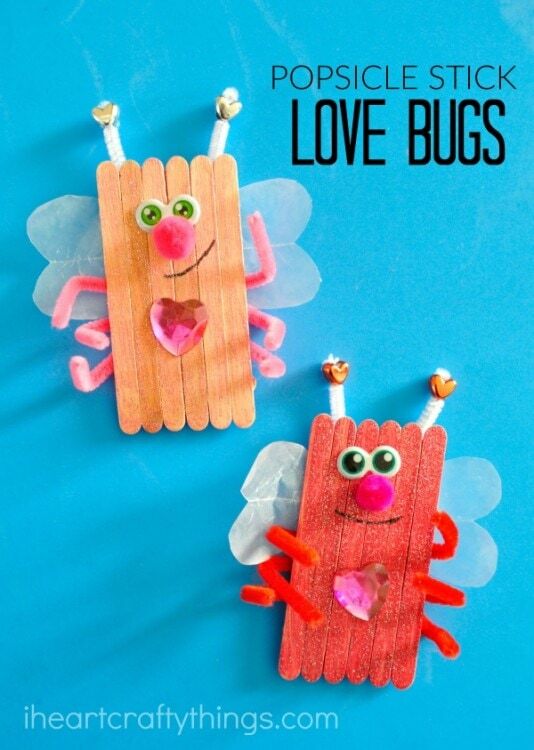 We are currently obsessed with making love bugs. 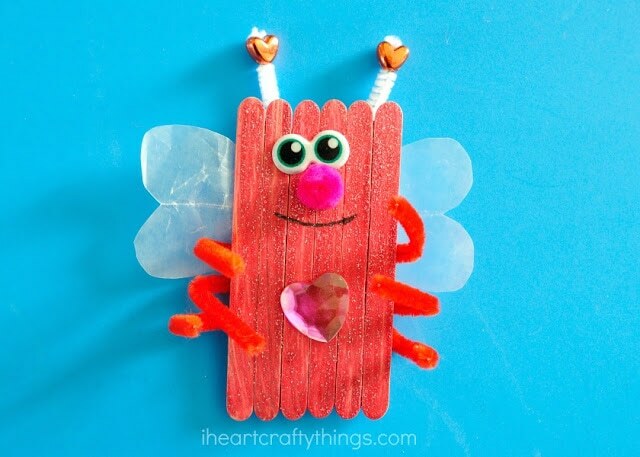 There’s just something so cute about little bugs filled with hearts! 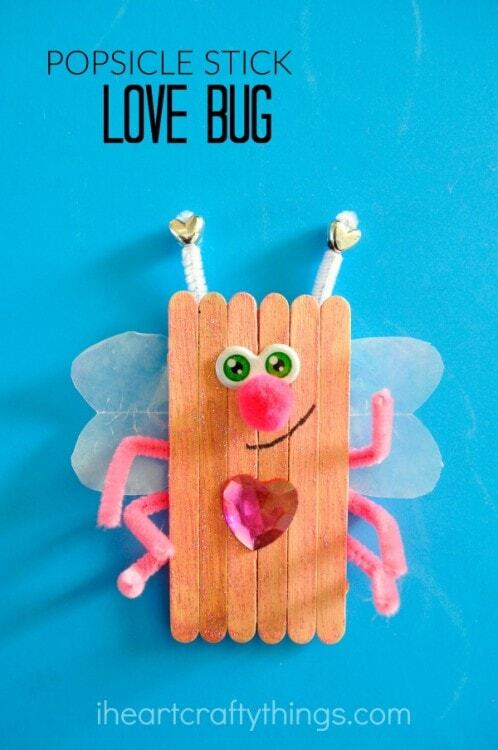 Today we are sharing this popsicle stick love bug craft that is sure to bring a smile to your child’s face. 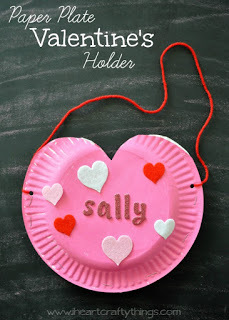 It’s glittery and filled with hearts making it a perfect Valentine’s Day kid craft. You can even attach a magnet to the back of it and proudly display it on your fridge for Valentine’s Day. *We received these products from our friends at Craftprojectideas.com. All opinions expressed are mine alone. You can find them in the craft aisle at your local Walmart. 1. Start by cutting a popsicle stick in half (an adult will need to do this step). 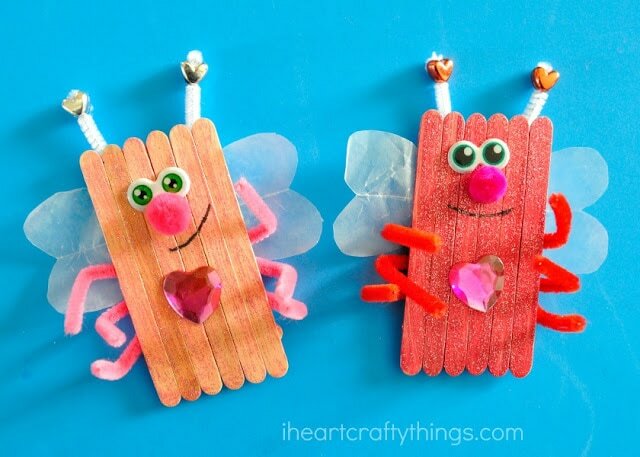 Use those two halves as a base and glue six popsicle sticks to the front of them with your tacky glue. Let the glue dry completely. 2. 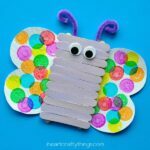 Use your Elmer’s Squeeze ‘n’ Brush Glitter Painters to paint the front of your popsicle sticks. 3. While your paint is drying, cut your pipe cleaners into quarters. You’ll need eight pieces, six for the legs and two for the antennae. 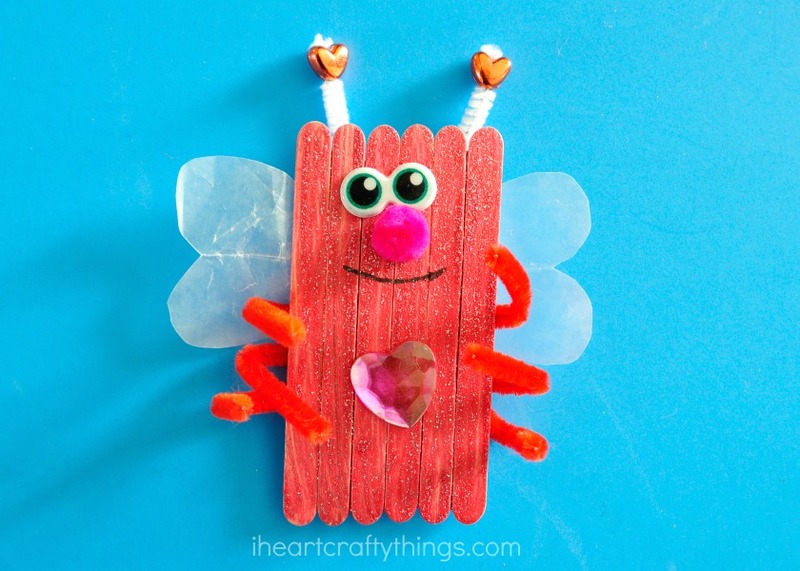 Also, cut heart shaped wings out of your wax paper. 4. When your paint is dry, tape your antennae and legs to the back of your popsicle sticks. 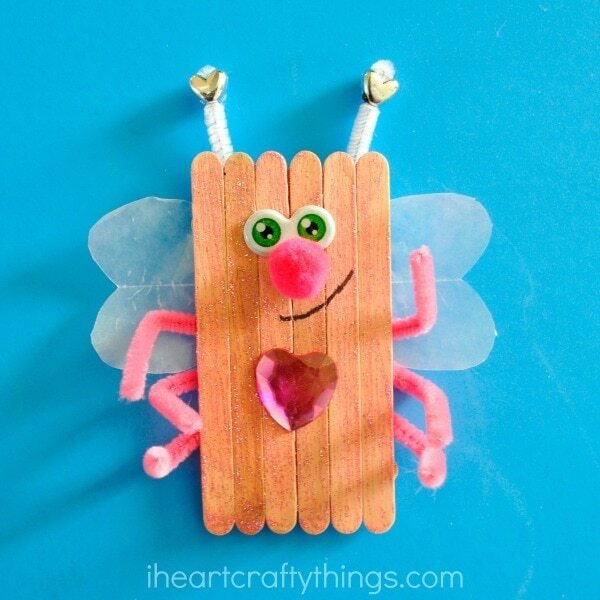 Then glue your heart wings on the back of the popsicle sticks. 5. Glue on your googly eyes, pom pom nose and heart jewel. 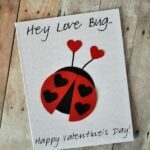 Then draw a smile onto your love bug. 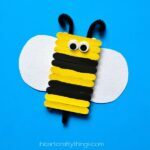 Finish your craft by threading the heart beads through your antennae and then bending down the pipe cleaner to hold it in place. « Erasable Frames Wall Decal – A Fun Way to Let the Kids Color on the Walls!